"We started trying to make it easier for people to recycle the things that they bring," says Bailey. "In our first year of the Zero Waste Initiative we bought about 150 new trash and recycling containers and new labeling on the recycling." The park collects mixed recycling and new labels showcase that with pictures. 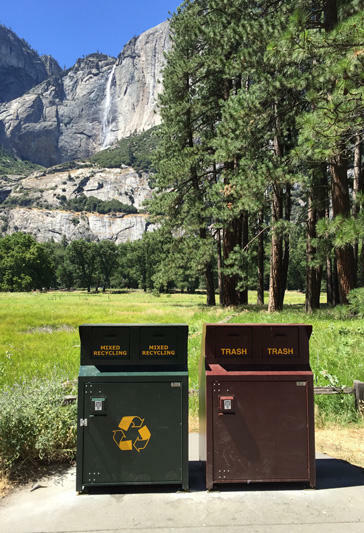 The Zero Landfill Initiative is partly funded through Subaru of America, the National Parks Conservation Association and the Yosemite Conservancy.